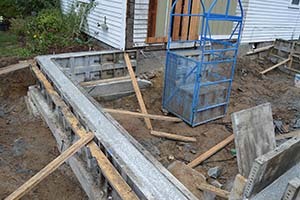 Additions, grarages, retaining walls, and more. Need just a bit more Space? 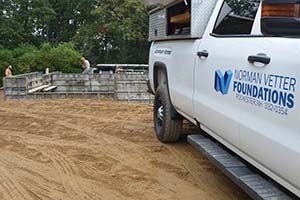 As a full-service concrete foundation contractor Norman Vetter Foundations is also able to help with a foundation for an addition to an existing building, a garage, a large deck or a small outbuilding. 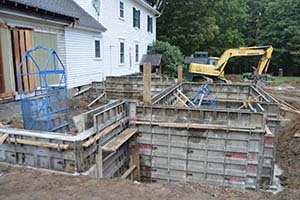 We have the know-how and the experience to get your next project started with a solid base. 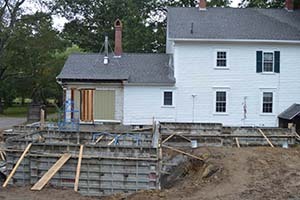 We serve the NH and southern ME seacoast area including Rochester, Dover, Somersworth, Farmington, Portsmouth, South Berwick, Kittery, Hampton as well as the Lakes Region and northern MA.